Transcell BSS-10K Tool Steel S-Beam Load Cell 10,000 lb.10,000 pound max capacity tool steel S-Beam loadcell that is ideally suited for scale conversions and general-purpose weighing. Compact and rugged design. Complete with 20'/6.1 m of load cell cable. non ntep. Similar to RL20001 and Sensortronics 60001. Transcell BSS-5K S-Beam Load Cell 5000 lb.5000 lb. max capacity tool steel S-Type load cell that is ideally suited for scale conversions and general purpose weighing. Compact and rugged design. Complete with 20'/6.1 m of load cell cable. non ntep. Similar to RL20001 and Sensortronics 60001. Transcell BSS-3K S-Beam Load Cell 3000 lb.BSS-3K 3000 lb. max capacity tool steel S-Beam loadcell that is ideally suited for scale conversions and general-purpose weighing. Compact and rugged design. Complete with 20'/6.1 m of load cell cable. non ntep. Similar to RL20001 and Sensortronics 60001. Price includes ground shipping for continental US customers. Transcell BSS-2.5K S-Beam Load Cell 2500 lb.2500 lb. max capacity tool steel BSS-2.5K S-Beam loadcell that is ideally suited for scale conversions and general-purpose weighing. Compact and rugged design. Complete with 20'/6.1 m of load cell cable. NTEP Approved. Similar to RL20001 and Sensortronics 60001. Transcell BSS-2K S-Beam Load Cell 2000 lb.2000 lb. max capacity tool steel S-Beam loadcell that is ideally suited for scale conversions and general-purpose weighing. Compact and rugged design. Complete with 20'/6.1 m of load cell cable. NTEP Approved. Similar to RL20001 and Sensortronics 60001. Transcell BSS-1K S-Beam Load Cell 1000 lb.1000 lb. capacity Tool Steel S-Beam loadcell that is ideally suited for scale conversions and general-purpose weighing. Compact and rugged design. Complete with 20'/6.1 m of load cell cable. NTEP Approved. Similar to RL20001 and Sensortronics 60001. Transcell BSS-500 S-Beam Load Cell 500 lb.Transcell BSS-500 Tool Steel S-Beam loadcell with 500 lb. capacity is ideally suited for scale conversions and general-purpose weighing. Compact and rugged design. Complete with 20'/6.1 m of load cell cable. NTEP Approved. Similar to RL20001 and Sensortronics 60001. Transcell BSS-250 S-Beam Load Cell 250 lb.Tool Steel S-Beam 250 lb. loadcell that is ideally suited for scale conversions and general-purpose weighing. Compact and rugged design. Complete with 20'/6.1 m of load cell cable. NTEP Approved. Similar to RL20001 and Sensortronics 60001. 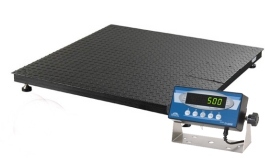 Transcell Guardian Floor Scale 4x4 10,000 lb.Everyone's favorite basic indicator, the Transcell TI500E digital readout calibrated to the 48" x 48" Guardian Floor Scale with 10,000 pound capacity. Great for many warehouse applications. Its structural steel design withstands years of heavy industrial use. This system comes complete with our most popular digital indicator (TI-500e) and are all factory calibrated for precise weighing. Transcell Guardian Floor Scale 4x4 5000 lb.You've requested it and now we offer it. The trusted favorite the Transcell TI-500E digital readout calibrated to the 48" x 48" Guardian Floor Scale with 5000 pound capacity. Its structural steel design withstands years of heavy industrial use. This system comes complete with our most popular digital indicator (TI-500e) and are all factory calibrated for accurate weighments. 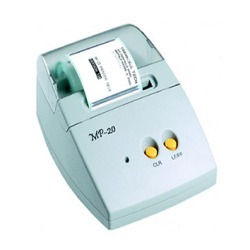 Transcell MP-20 Thermal PrinterSave space on your desktop with this MP20 direct thermal printer from Transcell. Print labels and receipts. RS-232 interface, works great with Transcell TI-500E and Salter 200E indicators. 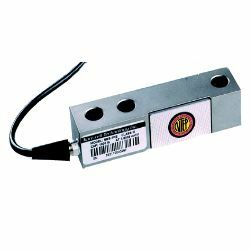 Transcell SBS-10K Single End Load CellSBS-10K is a single-ended shear beam Nickel plated alloy steel load cell from Transcell. Designed for low-profile scales and process applications. NTEP Approved 10,000 pound capacity. 20' cable. Transcell SBS-4K Single End Shear Beam Load CellSingle-ended shear beam Nickel plated alloy steel load cell from Transcell. Designed for low-profile scales and process applications. NTEP Approved 4000 pound capacity. 20' cable. Transcell SBS-2.5K Single End Shear Beam Load CellSingle-ended shear beam Nickel plated alloy steel SBS-2.5k load cell from Transcell. Designed for low-profile scales and process applications. NTEP Approved Capacity 2500 lbs. Complete with 20' (6.1m) of load cell cable. 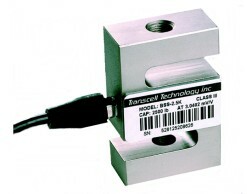 Transcell SBS-1K Single End Load CellSingle-ended shear beam Nickel plated alloy steel load cell from Transcell. Designed for low-profile scales and process applications. NTEP Approved 1000 pound capacity. 20' cable. Transcell SBS-500 Shear Beam Load Cell500 pound capacity single-ended shear beam Nickel plated alloy steel load cell from Transcell Technology. Designed for low-profile scales and process applications. (non ntep) 20' cable. 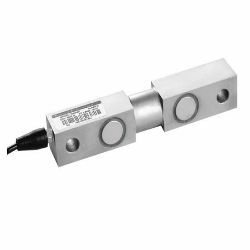 Transcell SBS-250 Single End Beam Load Cell250 pound capacity single-ended shear beam Nickel plated alloy steel load cell from Transcell Technology. Designed for low-profile scales and process applications. (non ntep) 20' cable.